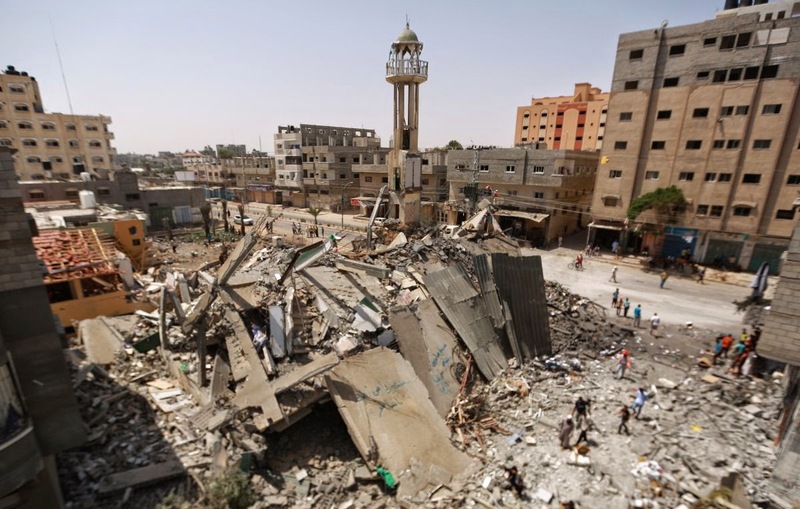 Despite an extensive effort to harness social media to promote its slogans and talking points, mainstream opinion is increasingly viewing Israel’s ongoing campaign, referred to as Operation Protective Edge, as an indefensible demonstration of raw military force against a civilian population. Images of maimed children, inconsolable families, and Gaza’s burning skyline have dominated global news coverage for much of the last four weeks. In the face of a ceaseless assault that has taken the lives of more than 1,700 and injured over 9,000 others, sympathy for the Palestinian cause has never been higher. Israel’s stated military objectives serve to obscure the unstated goal of its operation: preventing the newly formed Palestinian unity government — the product of a landmark reconciliation deal between Hamas and Palestinian President Mahmoud Abbas’ Fatah party — from carrying forward a Palestinian bid for statehood. Gaza’s Marine-1 and Marine-2 gas wells are adjacent to other Israeli offshore installations, and Tel Aviv’s ability to develop the fields — at minimum to serve as a potential short-term supply to stave off future energy shortages — depends on thwarting Palestinian bids for statehood, allowing Israel to continue managing of all the natural resources nominally under the jurisdiction of the Palestinian Authority.